I ended up hiring a full-time translator and over 10 months taught eight, two-week-long workshops to 30 students each that resulted in either a photo magazine, video magazine, or multi-media website. The best 30 students from the first six workshops were then selected to document in photos and video the biannual Hue Festival that brings in troupes from around the world. 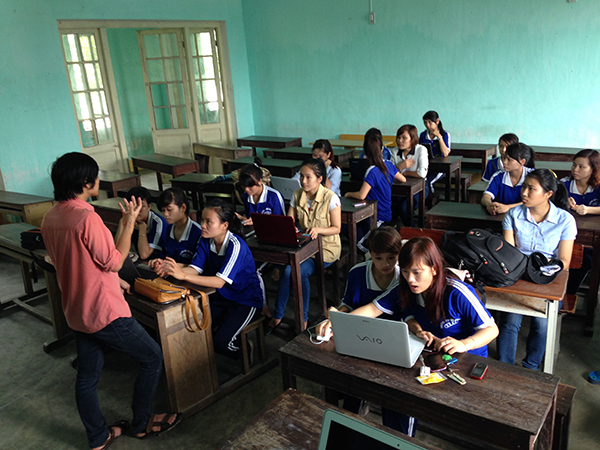 During my off weeks, Hue University granted me permission to teach shorter journalism workshops at provincial universities in Thai Nguyen, Can Tho and Da Nang, which a colleague suggested as they rarely get foreign faculty visitors, and for the Vietnam Journalists Association in Hanoi and Ho Chi Minh City, where I also lectured at the U.S. Embassy’s American Centers. 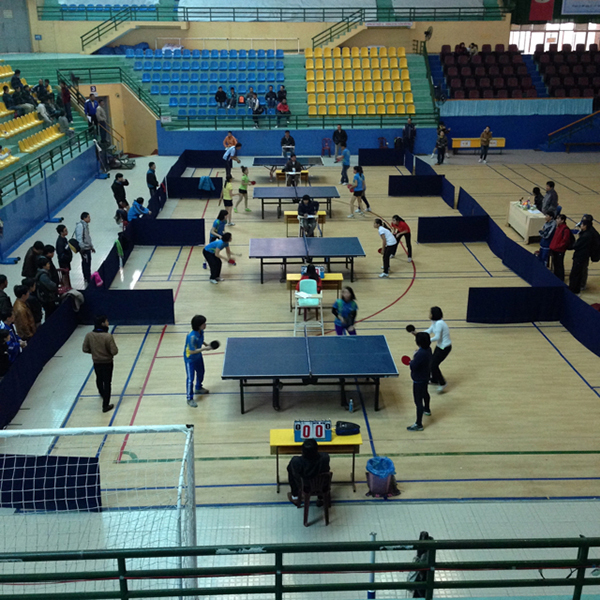 The experience was exceptional because it validated and exported my belief in the value of experiential learning. It also allowed me to learn more about a country and its people for whom I have developed much respect. 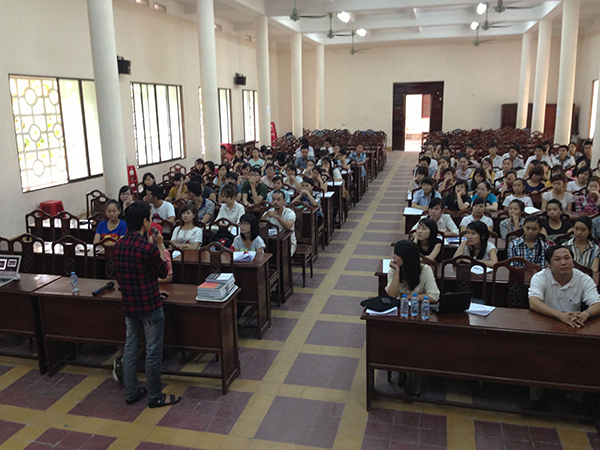 CMR: During your Fulbright year, you attended the Engaging with Vietnam conference in 2013 and again in 2015. What were your topic(s) at the conferences? 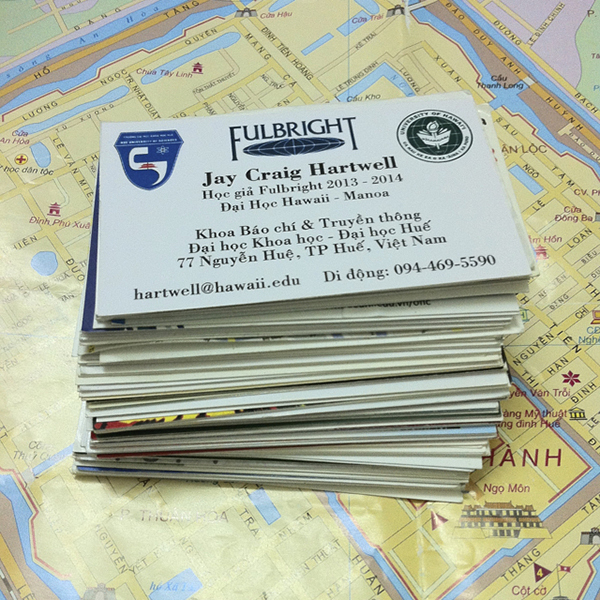 Hartwell: The Engaging with Vietnam conference is co-sponsored annually by my university. 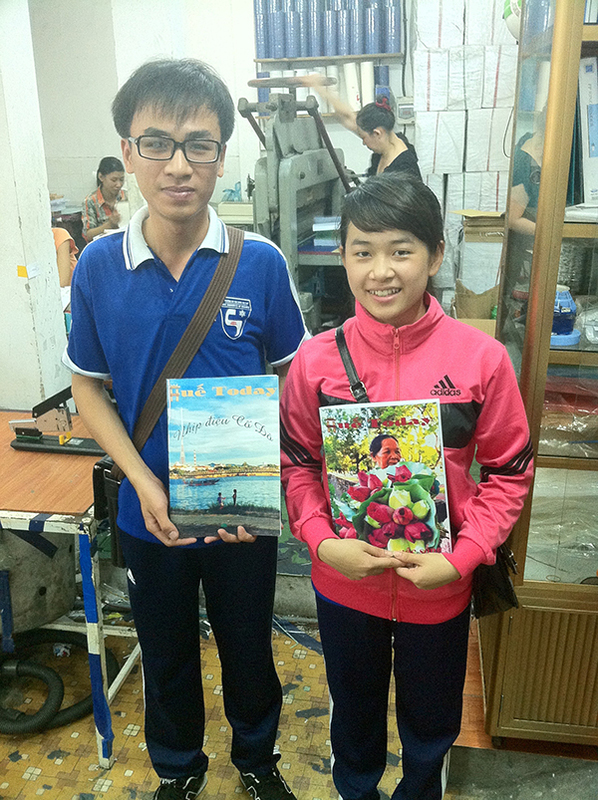 It brings together scholars and students from Vietnam and around the world to discuss the production of knowledge about Vietnam. 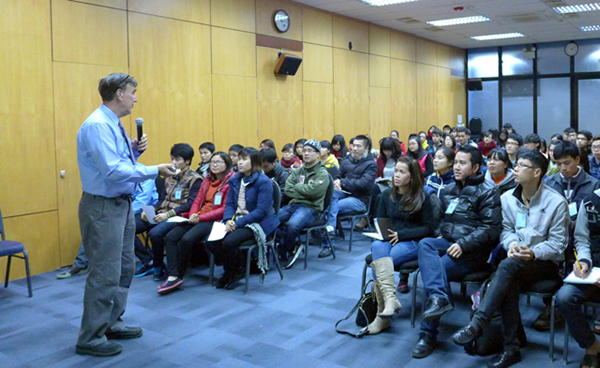 I first attended in December 2013, when the Fulbright program sponsored our attendance. 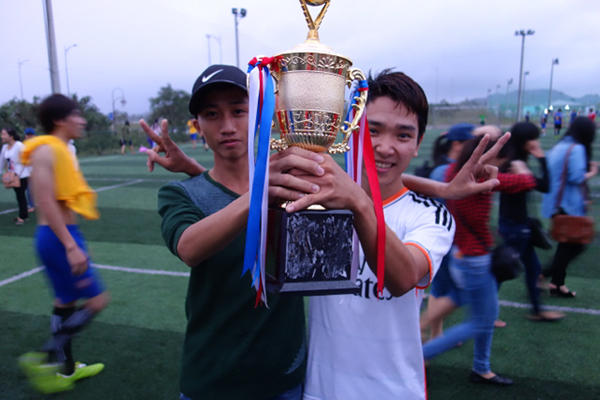 I had three goals: assist my university, generate new contacts within the Vietnamese academic community, and create dialogue about journalism education. In my first four months in the country, I had observed how expats and journalists depicted the country. I hoped my session “(Mis)Understanding Vietnam through Photography” would start conversations that would lead to others that would deepen my contacts. 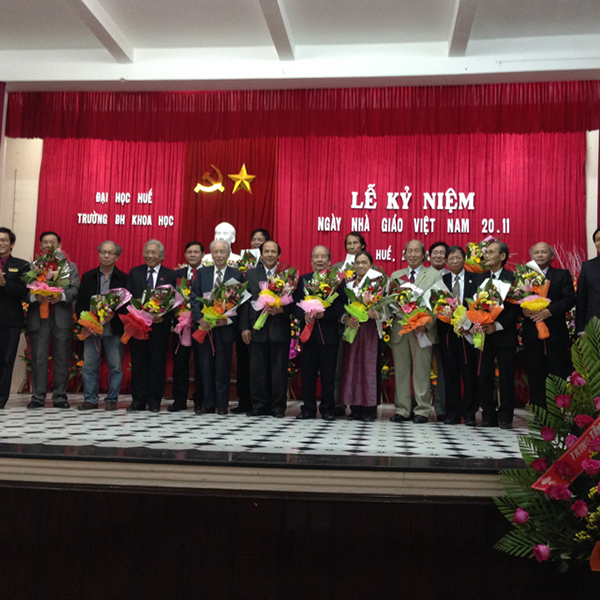 Because of those contacts and others, I was invited to organize a panel discussion on the “Future of Journalism Education in Universities in Vietnam” at the July 2015 conference that was held in Hanoi. I invited deans from Vietnam two largest journalism programs, and the editor of VietnamPlus, to discuss whether the country’s journalism faculties are keeping up with how news gets received in Vietnam: primarily through social media apps and mobile phones. Two scholars, from U.C. Berkeley and University of Social Sciences and Humanities Hanoi, responded. We also addressed how partnerships with foreign universities and trainers prepare students and professionals and the internationalization of media curriculum and its impact on Vietnamese society, politics and culture. 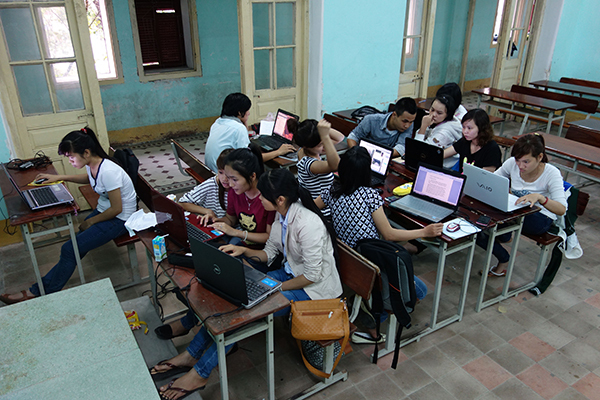 The conversation led to others about journalism education in Vietnam, but progressing beyond conversation requires being in the country to teach, collaborate and meet with others who have an interest in change. 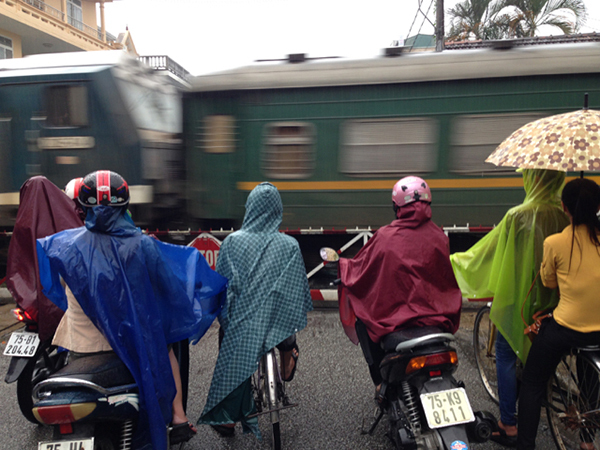 CMR: How have your Vietnam studies and work changed your view of Vietnam and southeast Asia in general? Hartwell: My views of the country and region started with that first visit. 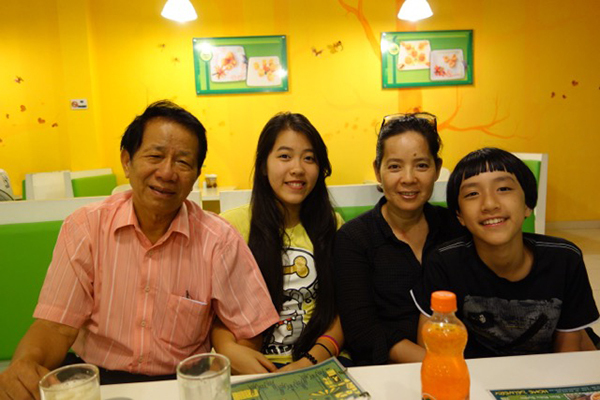 I expected but did not encounter any prejudice or anger because of the American/Vietnam War. Most citizens were born after 1975 and many love the United States and dream of studying there. My students were enthusiastic in every workshop and loved sharing their country’s sites, food, beer and music. Many people I encountered were smart, willing to work hard and learn new things. 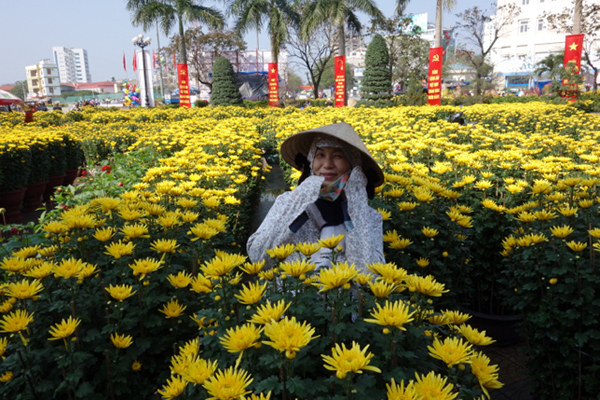 During a Fulbright seminar with Vietnamese counterparts, a retired American university administrator (who had been working in Vietnam for 10 years) told us that no matter how much we learned, none of us (including him) would ever really understand the country. I agree, and I had the advantage of working each day with a translator and daily life with a family. The country has 5,000 years of history; resulting in so many layers (religious, cultural, political) that only unravel with language fluency and time. During the Fulbright year, I traveled briefly in Cambodia and Korea and attended the East-West Center’s International Media Conference in Yangon, Myanmar, where I conducted workshops for the U.S. Embassy’s American Center. Last year, I met with journalism faculty at three universities in Hong Kong before going to the Engaging with Vietnam conference. Each country (and each region within a country) is different, but if I were restarting my professional life, I would be in Asia. There are so many opportunities and much to learn and see. CMR: How did the journalism workshops go? 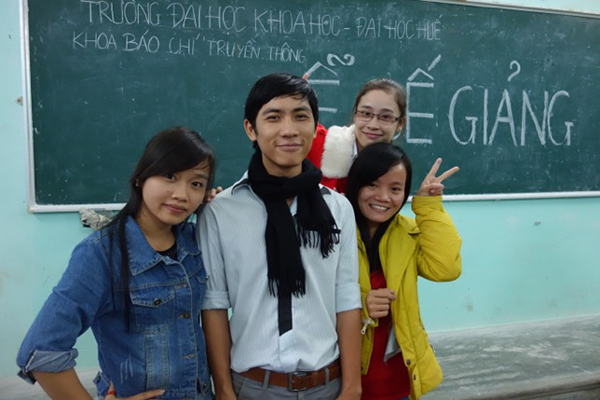 Hartwell: My Vietnamese students embraced the two-week workshops because of my collaborative teaching with translator An Thien Huynh. He helped us through the cultural, technological and educational speed bumps. Decision-making for each group was by consensus so all voices had an opportunity to focus, revise and complete the project theme. If there were problems with submissions, the best willingly would go back, reshoot or redesign, and resubmit within hours. 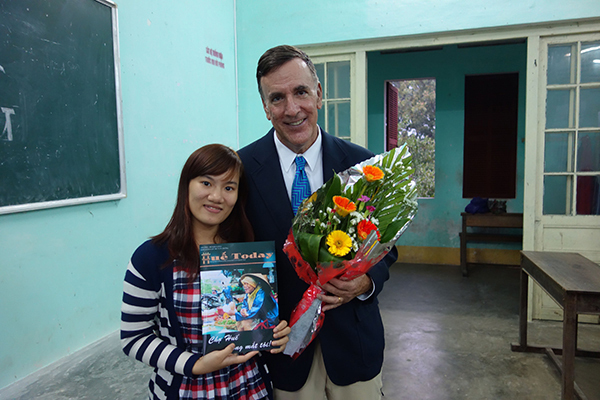 The groups’ enthusiasm for and celebration of their final accomplishments invigorated my stay, as did their reverence for teachers and their desire to share Vietnam. 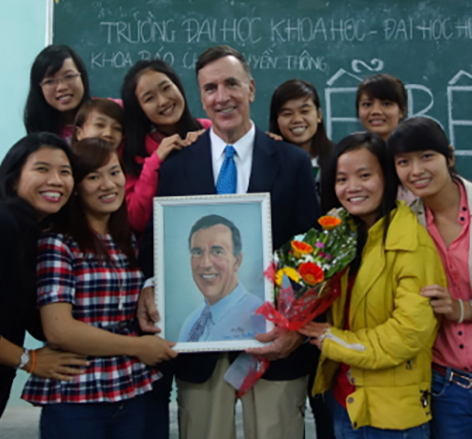 Before ending the Fulbright experience, I told the Vietnamese students they could continue the work we had started. I urged them to create their own publications and to use social media to share group and personal work. I monitor what has not been happening through Facebook. I don’t know whether academic and cultural demands (final exams are everything) limit what they can do, but the initiative and independence of my best students in the United States is inspiring. Americans learn so much through our student media programs, especially when they make mistakes. And I keep learning from them, because they are willing to challenge what we do and how. CMR: Am I right in understanding that Vietnam’s constitution provides for a free press? 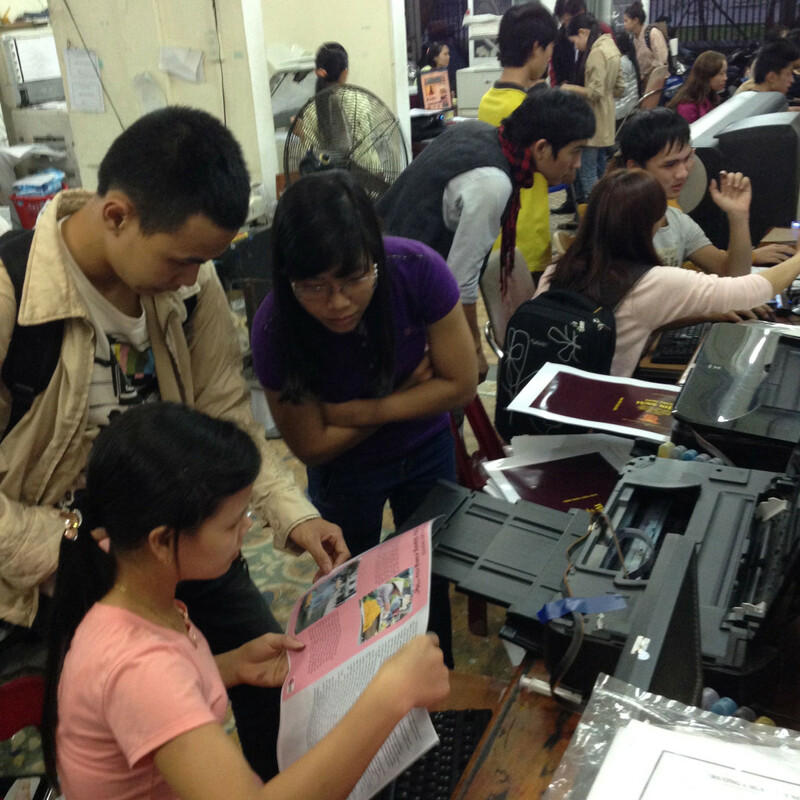 How close—or how far—is Vietnam from having a free press? Hartwell: Journalists and their outlets are licensed by the government, which also employs them. A few outlets, such as Thanh Nien News, are critical of private and public policies and corruption at micro and macro levels. Documentary reporting and presentation by VTV International can be exceptional. But the government imprisons critical bloggers and the country is considered one of the 10 worst for press freedom. Journalists understand and discuss the constraints (more so in some cities than others). Some told me they have indirect ways through their reporting to address problems. Increasingly citizens bypass traditional news mediums and use social media to organize and publicize protests that have stopped government action. In my workshops, professionals sought more information on international standards for editing, design, reporting, multi and social media. But I do not have enough understanding of the country to predict whether Vietnam’s growing partnerships with the United States will result in more press freedoms. 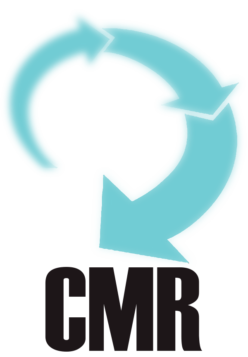 CMR: You have said you’ll no longer be the student media adviser at the University of Hawaii after the 2017 spring semester. Where will your next life chapter take you? Any plans to return to Vietnam? Hartwell: I will turn 62 that year and qualify for my pension and medical benefits. I have told the university that I will be leaving to pursue other ideas that hopefully will include journalism workshops and educational consulting in Asia and special projects in Hawaii. Providing opportunities for my students’ personal and professional growth has been rewarding enough to keep me at the university for 19 years. 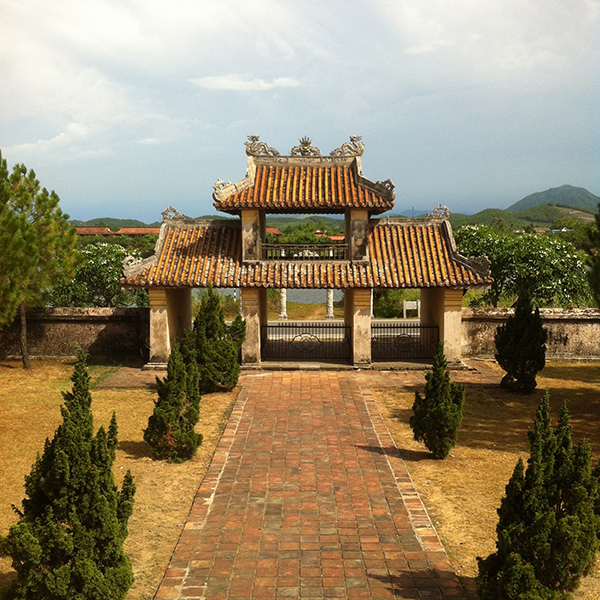 Being able to do so in Vietnam was the culminating experience.